“Cohesion” is the action of forming a whole from smaller particles that join together. The exhibition “Cohesion” demonstrates how an artist pulls from their past examination of techniques, along with current influences joining together to create a whole, or in this case works of art. The show consists of artists that are multidisciplinary and are using their collective knowledge to communicate through art. Martinez and Weber have known each other and followed each other's work for many years, since co-leading two murals decades ago. However, previously they have only shown together twice, each time in the other's studio. This exhibit brings together large selections from their recent bodies of work. Weber's recent studio work is all large woodcut prints and even larger drawings. Martinez in contrast is showing a selection from his suite of lushly colorful large oil paintings. The rich palette of tropical color animating Martinez’s large paintings sets off Weber’s two suites in classically graphic Black and White. Martinez's paintings are filled with tropical foliage and mysterious reclining nudes displaced (rather than placed) in lyrical but unstable and almost crowded compositions. Weber's suites are by contrast almost starkly simple. The selections from his "Barbed Wire Suite" are dynamic entanglements, in abstract spaces, with a different with surprisingly varied moods. The oversized woodcut figures confront barriers and constraints, demanding our response. 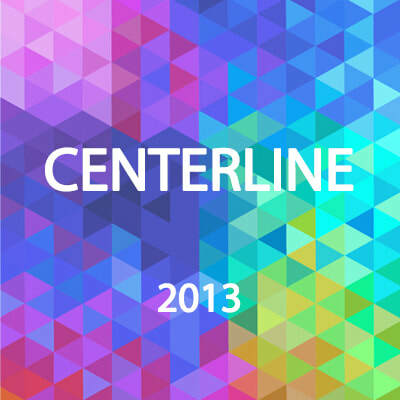 “Centerline 2013” celebrates the creative energy of the artists and the galleries of the Zhou B Art Center. For artists, the need to create is in their blood. It is what they think about when they go to sleep and what they work to achieve while awake, an involuntary process that is repeated every day of their lives. The manifestation of that process represents the artist's culture, history and what will document their interpretive footprint long into the future. The second of the two-part exhibition "Grandi Dipinti & Piccoli Dipinti” consists of ten large (Grandi) paintings (Dipinti) from Herbert Murrie's most recent body of work. The paintings debuted this spring in Tuscany of 2013 and are on their way to be restaged at Zhou B Art Center at the beginning of the art season this fall and in subsequently with Art Expo Chicago on Friday, September 19th. 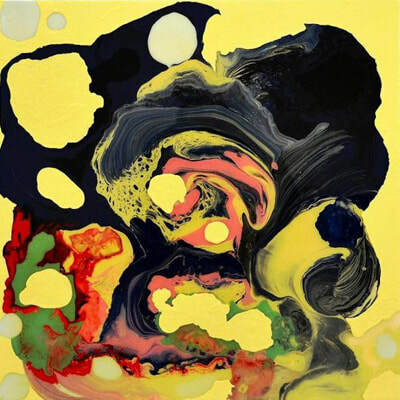 The First part "Piccoli Dipinti" exhibited in February of 2013 at Jennifer Norback Fine Art, Inc.
"In the initial phase of my painting, chance or accident plays a major role. I pour various colors onto sheets of acetate in various shapes and patterns. The shapes and forms emerge through the constant blending and manipulation of the paint; interlacing forms, bows and curves that constantly intersect to produce spatial structures that could be altered endlessly." For the last year, the Zhou Brothers have been traveling around the world participating in a number of museum exhibitions including the YongJiang Inlet Art Museum and the Beijing 1+1 Art Centre which featured the "Zhou Brothers China Series" scheduled to travel to over 20 museums in mainland China. On September 3rd. The exhibition "Zhou Brothers" opened with great success at the Art Museum of Guangxi in China. "Zhou Brothers: Early Fantasy" at the main gallery of the Zhou B Art Center will provide a unique opportunity to trace back the artistic career to where the dream began. 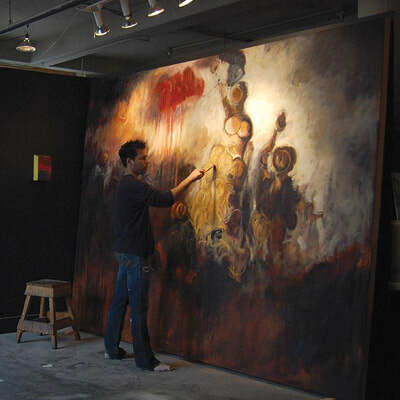 The Zhou Brothers are one of the most accomplished contemporary artists in the world today renowned for their unique collaborative work process. 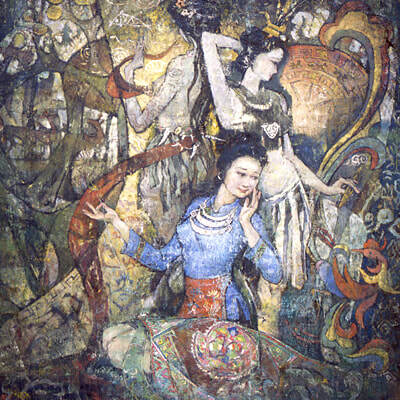 They always work together on their paintings, performances, sculptures, and prints, often communicating without words in a so-called dream dialogue. The exhibition "Zhou Brothers: Early Fantasy" will feature a selection of works highlighting over 40 years of artistic heritage. The Museo Internazionale Italia Arte based in Turin, Italy in collaboration with the Zhou B Art Center presents an international exhibition. The exhibition that comes directly from Italy features works by international artists. Artist(s): Adriana Isabel Acquisto, Mariana Acuna Jimenez, Elena Alietti, Grazia Allera Barbi, Archisbang, Liliana Barberis, Raffaele Barbuto, Berkana, Maddalena Boero, NatHalie Braun Barends, Renata Buttafava, Silvia Canton, Fabio D’Antoni, Gabriella de Filippis, Paola De Gregorio, Enza De Paolis, Antonella Dibello, Lucia Filippi, Mario Formica, Anna Galanga, Akim Hoste, Elzbieta Krasinska, Maria Ausiliatrice Laterza, Rosie Longhi De Bouard, Michele Macchia, Giovanna Magaddino, Giovanna Magri, Gabriele Maquignaz, Enrico Magnani, Iros Marpicati, Carlo Marraffa, Riccardo Melotti, Giovannino Montanari, Manuella Muerner Marioni, Benedetto Norcia, Giovanni Oteri, Alessio Papa, Barbara Pecorari, Aline Pereira Sanchez, Francesca Pettinato, Gina Pignatelli, Marina Profumo, Paolo Remondini, Luigia Rinaldi, Elena Ritorto, Debora Rocca, Pietro Rossi, Sarkos, Irene Sarzi Amadè, Grazia Seregni, Patrizio Serra, Fernando Antonio Spanò, Emanuela Tamburini, Jucci Ugolotti, Ferdinando Valentini, Flavia Vallarin, Francesco Vidic, Rita Vitaloni, Gianna Zanafredi and Brigitta Rossetti. “Lightsense” is an exhibition converging light, art & technology. 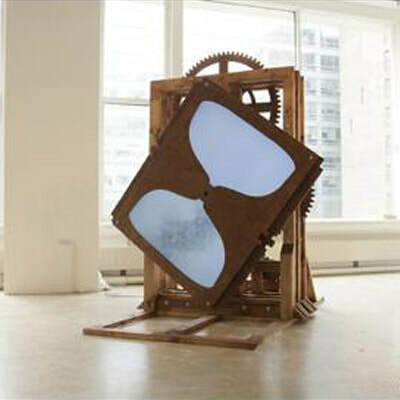 Emerging technologies and experimentation give way to innovative art-making practices. “Lightsense” explores systems and structures used by contemporary artists in the pursue of a greater understanding of the world and environment we inhabit. These artists continue to challenge these structures by letting the viewer to experience an alternative world. Artist(s): Archisbang, Patti Bartelstein, Pia Cruzalegui, Daniel DeLuna, Bree Gomez, Sanghwa Hong, Patrick Lichty, Elysia Lock, Steven Lockwood, Dana Major, Daniel Miller, Yva Neal, Julie Oh, Mindy Sherman, Bernard Szajner, Monika Wulfers, and Josephine Lipuma/DIane Ponder/Connie Fillippelli. 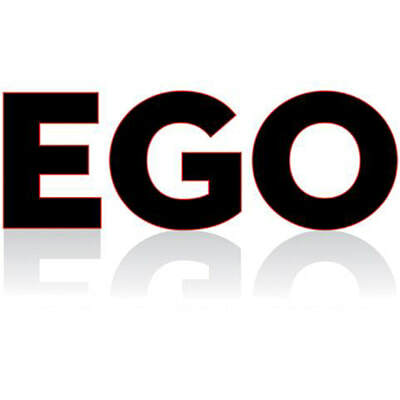 “EGO” is a curated exhibition with a focus on the exploitation, glorification and objectification of the individual either by personal choice or as perceived by others. 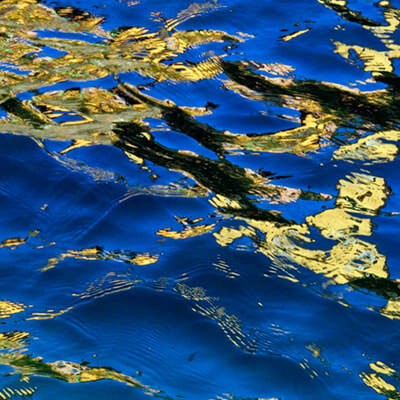 “EGO” will feature a selection of contemporary photographers from across the country. Artist(s): Tim Arroyo, Maria Lawson, Dayton Castleman, Thomas Michas, Polly Chandler, Geraldine Rodriguez, Thomas Ferrella, Michael Anthony Schmidt, Matt Gubancsik, Kate Shannon, Samantha Isom, Harry Sudman, Ariston Jacks, Ilona Szwarc, Hua Jin, Tom Szydelko, Joseph Kayne, Gary Vittori, Dave Kennedy, Mike White, Tommy Kha, Jiankun Xie, Natalie Krick, and Diane Zeeuw. The Midwest Collage Society exhibit “Off Balance-Balance” explores the concept of balance and imbalance from both an individual and universal perspective. 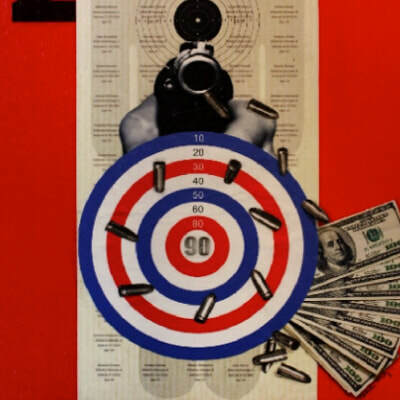 Collage and mixed media artists examine the origins of imbalance, its effect on themselves, society, and its remedy. Balance is defined in the dictionary as a state of equilibrium, equal distribution, emotional stability, habit of calm behavior and judgment, and a harmonious whole. Often it is the creative act itself, which grounds the artist and restores balance. The year 2013 begins a new century of collage. Pioneers like Picasso and Braque paved the way when they used collage in their work, and it continues to evolve as a fine art medium as contemporary artists use the wealth of new materials and tools available. The Midwest Collage Society is celebrating ten years as a group, and exists to promote collage as a fine art. MCS has more than sixty artist members from the Chicago land area as well as northwest Indiana who exhibit both locally and nationally. Artists' styles are as varied as their backgrounds, from traditional collage using solely paper, to mixed media and assemblage. Papers are recycled, handmade, painted and altered. 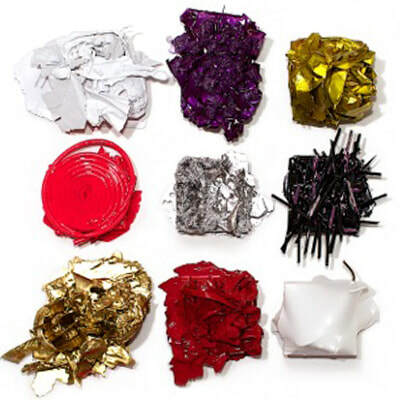 Fibers, metal, photographs, image transfers and found objects are also incorporated. Varieties of paint are used. Collages are assembled with acrylic mediums, wax, thread, wire and more. There are no rules and no limitations. 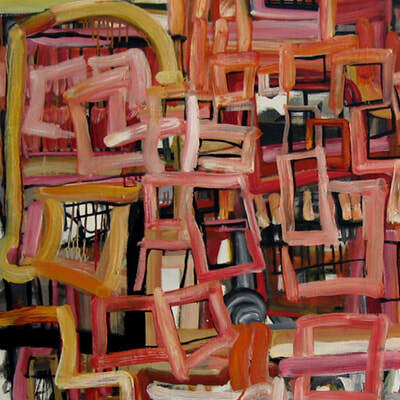 Linc Thelen has been painting for over two decades. His style fuses his classical training with a modern perspective. Thelen's earlier works consist of classical still life and landscape painting that has been described to be dream-like and provocative with calming emotion. His recent work is more abstract in an attempt to deconstruct the form. After studying at Columbia College for two years, Thelen received his BFA in painting from Northern Illinois University. He continued his studies by traveling abroad to Italy and France focused on mastering the chiaroscuro techniques of the Renaissance Masters. After the housing market collapsed in 2008, Thelen was left with the bare essentials, his hands. What could he do but move back to painting as a way to renew his enthusiasm for life? After growing complacent with his realist still life and landscape explorations, Thelen chose to destroy his hopes of creating the perfect image and jump into an adventure of self exploration to find his true voice for creative expression. Instead of relying heavily on a fixed or controlled intention, he took ordinary bowls from the kitchen and began to trace them. He experimented with the simple shape of the circle and allowed the process to build into something unexpected and open. Later on in the process Thelen depicted dramatic scenes of great conflict and the elation of hope; subjects more directly connected with his reality. "Painting forces you to be honest with yourself. It is a pure reflection of who you are and where you are in the present moment. I battle myself, my subconscious, my paints, brushes and the canvas in an effort to create something that examines the perfectly imperfect adventure of human life." Thelen believes that through his constant battle, he can catalogue his experience and therefore create a sense of control in the out of control. Because, as he succinctly says, "It is not the act, but the resolution of each painting that achieves my greatest joy. The Zhou B Art Center presents a concurrent solo exhibition by Duk Ju L. Kim, Darrell Roberts, and John Salhus. The most immediately apparent common dialogue in their work is communicated through the use of distinct and prominent brushstrokes. Each artist creates compositions of accumulation in which a proliferation of marks are at once graphic and illusory. A sense of spontaneity and presence of the artist's hand recently in contact with the canvas emanates in the beat and scratch of their varied mark making. Each individual artist is deeply engaged with the physicality of paint. Duk Ju's marks often operate as dense scaffolding that flesh out architectural spaces and forms that can be at times both interior and exterior. 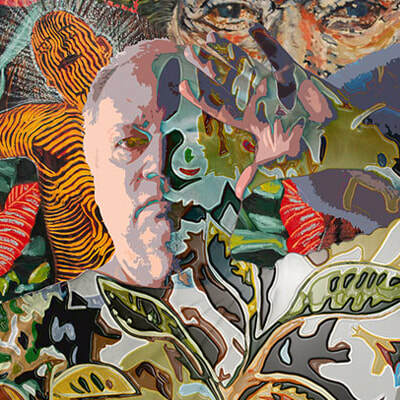 With saturated colors, John creates images with persisting or exaggerated colors masking a disconcerting artificiality. Entrancing layer upon layer of viscous and grainy pigments distinguish the surface of Darrell's canvases, which present an emotive record of steady contemplation. Considerable impetus and sustenance for a lively studio practice comes to each of the artists through an alert engagement with their surroundings, including the communion with one another. “From Motion to Stillness” is an exhibition and a publication seeking to explore aspects of stillness, quietness, reflection, meditation, inner-peace, solitude, reflection and calmness as a human experience. Despite living in a fast-paced and rapidly changing world, “From Motion to Stillness” invites the viewer and the reader alike to pause for a moment and experience stillness as interpreted by some of today's most exciting contemporary artists and poets. “From Motion to Stillness” takes place in a gallery setting, print and digital formats. Artist(s): Paul Beel, Blaine Bradford, Brian Busch, Stephen Cefalo, Javier Chavira, Matthew Cherry, Casey Childs, Reid Compton, Cesar Conde, Rory Coyne, Jennifer Cronin, Steven DaLuz, Richard J. Frost, Jessica Freudenberg, Patrick Earl Hammie, F. Scott Hess, Jason John, Karen Kaapcke, Jennifer Koe, Francien Krieg, Daniel Maidman, Jennifer Moore, Elsa Muñoz, Tim Okamura, Judith Peck, Denis Peterson, Diego Quiros, Geraldine Rodriguez, Elizabeth Szymczak-Scarborough, Victoria Selbach, Ryan Shultz, Harry Sudman, Brian Glenn Truex, and Nick Ward. Poet(s): William Allegrezza, Grace Cavalieri, Duriel E. Harris, Matthew Hittinger, Kathleen Kirk, Diego Quiros, William Stobb, and Emma Trelles. Curated by Mario Gonzalez Jr.
“Has Beens & Wannabes” is a group exhibition featuring artists that have forged their urban style and imagery in the greater Chicago and Midwest area since the early 80s. These artists started off as teenage subway graffiti artists and slowly gained notoriety in Chicago and abroad. The early 90's were not exactly friendly years to many of these artists who became exiled and unappreciated. Despite the efforts to quiet their voices, these artists continued making their mark and maturing as visual artists. In recent years and after "old world" mentalities have come to past, Europe, South America and the rest of the world have began to appreciate the work of this generation of artists. They have been considered pioneers of the most influential urban art movements of our time. Transforming art, design, music and fashion, these urban legends have risen again to advance themselves into the contemporary artistic landscape. For the first time since 1986, The Zhou B Art Center in Chicago along with curator and graffiti legend Mario ZORE Gonzalez Jr have gathered a selection of URBAN LEGENDS from the greater Midwest area for this historically significant exhibition. 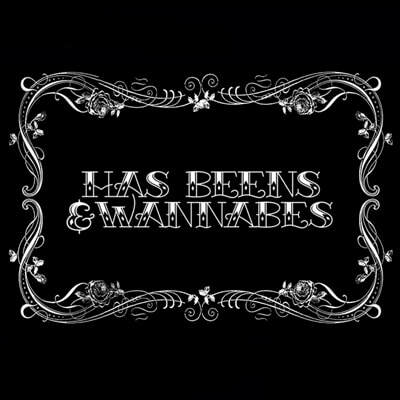 “Has Beens and Wannabes” honors these artists who started their careers in the 80's and 90's and whose imagery is now recognized as an important contribution to the history of art. This exhibition serves as a preamble to other important regional, national and international exhibitions to take place as early as 2013 in venues such as the School of the Art Institute of Chicago, Chicago Cultural Center and the National Museum of Mexican Art among others. Artist(s): Miguel Aguilar, Ruben Aguirre, Brian Evan, Golden Brooks, Mario Gonzalez Jr., David Guerra, James Jankowiak, Tyrue Jones, Gary Juarez, Won Kim, Brian Keller, Victor Lopez, Felix Maldonado, Rodrigo Mireles, Ish Muhammad, Jesus Rodriguez, Chris Silva, Kris Stanek, Mike Ventura, Tyrone Whiteside, and Bill Weyna.